Some call them cabins. Some call them cottages. Either way they are exceptionally clean full housekeeping units. 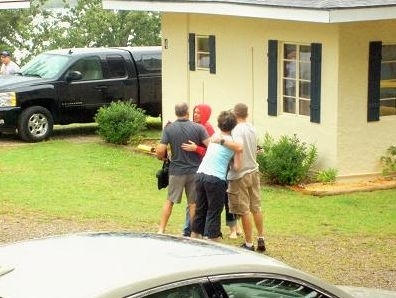 All of our cabins / cottages have been recently renovated. Each unit has a fully equipped kitchen with a full size refrigerator, a full size 4 burner gas range with oven, microwave, pots, pans, dishes, and silverware. A bath with shower, satellite color TV with remote, free wireless internet access, bed and bath linens, cement patio with picnic table, a Weber BBQ kettle, and lawn chairs complete our cabin amenities. 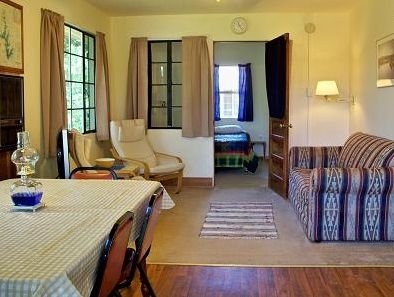 For your comfort, all units are air conditioned and heated. Our studio cabin sleeps 3, our one bedroom cabins sleep up to 6, and our two bedroom cabins sleep up to 9 persons. A padded stall for your boat is included free with each cabin rental. All you need to bring is food and your beach towels. 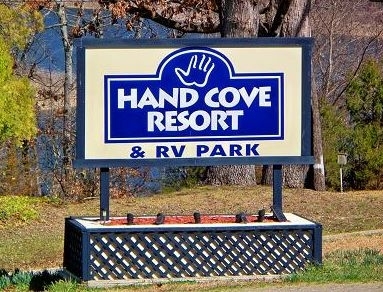 Hand Cove Resort and RV Park is near the city of Mountain Home, Arkansas, on the southeast end of Norfork Lake. We are the closest resort to the water of any resort on Norfork Lake. You can walk across our gently sloped grass yard 100 yards to the water's edge. Hand Cove Resort is in a quiet, secluded section of the Big Creek Arm of Norfork Lake within sight of the Hand Cove/Jordan Recreation Area beaches. 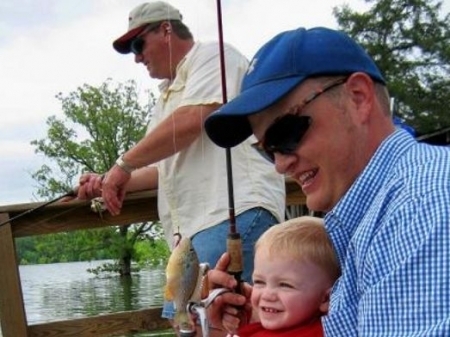 Many experienced fishermen consider the Hand Cove/Jordan Recreation Area to be the best fishing zone on the lake. 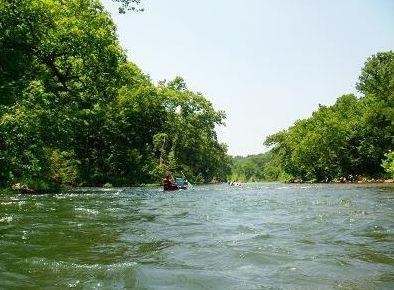 Many repeat guests come to Hand Cove Resort every year for the peace, quiet, and tranquility of the Arkansas Ozark Mountains as well as the fishing and water sports. Rates may be higher for single night, weekend only, and holiday reservations. reservations must be for a full week. 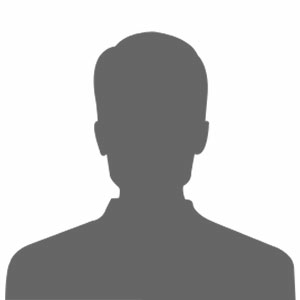 register with our office at time of arrival. Please let us know if you will arrive after sunset.